the former National Garden of the New Zealand Rhododendron Association. 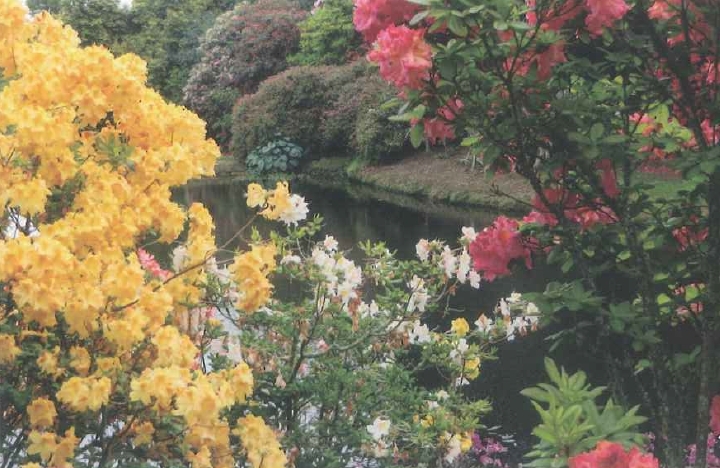 This garden was established by the Rhododendron Association in 1969, and in 2006 the Heritage Park Rhododendron Trust was formed to take ownership and management of the park. Key among the over 1500 species and hybrids is the deciduous azalea collection bred by Dr Yeates, one of the founders of Heritage Park. It also incorporates a trial bed for NZRA selections. We are particularly proud of the Rothschild (Exbury) Collection at Heritage Park one of the most extensive which we plan to extend. For new and interesting rhodos, you must visit our Trial Gardens - An area is set aside for trialing new accessions on behalf of the New Zealand Rhododendron Association. We are open all year around. The best time to visit us is the peak flowering season from late September through to mid December. However anytime is a good time to visit our gardens.